The past year has seen two more books on the history of bicycling’s world championships, joining "The Curse of the Yellow Jersey" by Graham Healy from five years ago. The latest are "Chasing the Rainbow" by Giles Belbin and "Cycling’s World Championships" by Les Woodland. All are British with a slight British slant. None can be classified as a definitive history, rather falling into the category of pleasant, anecdotal reads. Woodland is unsurpassed with finding rare offbeat and quirky tales, such as Louison Bobet’s superstition regarding the number 41, always keeping a wary eye out for whoever was wearing the number. At 123 pages, his book only whets one’s appetite, wishing it were two or three times that length. 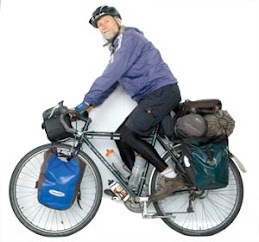 He has written more than twenty books on cycling that bounce along in a similar raconteur style. Healy and Belbin are neophytes by comparison, but still have nearly ten books on cycling between the two of them. Their books are straightforward journalism compared to Woodland’s flowing style sharing his vast knowledge of cycling lore. But one won’t feel unnourished reading any of these books. Belbin pads his book with nearly a dozen eight to ten page interviews with various World Champions, male and female, as well as the grandson of the 1938 World Champion Marcel Kint. Along with winners Stephen Roche, Cadel Evans and Felice Gimondi, he also interviewed Barry Hoban, who could comment on riding with Tom Simpson when he won the Championship in 1965. He also peppers his narrative with statistical trivia, both meaningful and meaningless. When he doesn’t have an anecdote, he can always resort to a stat. Some are rather standard--George Speicher was the first to win The Tour de France and the World Championship in the same year (1933), Eddie Merckx, Jean Aerts and Hans Knecht are the only ones to have won the amateur and the professional world championship. Others are curiosities--Jacques Anquetil was the first to win all three Grand Tours, but he never won the World Championship. Some have nothing to do with the World Championships--nine riders have accomplished the Roubaix/Flanders double in the same year, but Merckx is not one of them, no one other than Miguel Indurain accomplished the Tour/Giro in back-to-back years (1992/1993). Some raise the eyebrows, but are basically irrelevant--Merckx, Gimondi and Bernard Hinault are the only ones to win The Tour, Giro, Vuelta, World Championship and Paris Roubaix. Healy proves it is a myth that winning the World Championship is a myth, as more winners have had a better year after winning the jersey than those who a year worse than the year when they won it. Of those who had a worse year, none can top that of Jean-Pierre Monsere, the 1970 winner who died in a race the following March when hit by a car that strayed on to the course. Monsere’s mother paid a visit to the woman, both crying uncontrollably according to Healy. Both Belbin and Healy mentions tears over Simpson’s win, though none to the same person. Healy quotes Simpson as saying tears were welling up in his eyes after he crossed the finish line. Belbin attributes tears to his manager and the president of his supporter’s club, but not to the winner himself. Woodland cites three instances of crying--Moreno Argentine as he crossed the finish line in first in Colorado Springs in 1986, Evans on the podium in 2009 and Victoria Pendleton as a known crier. Healy includes a photo of Bettini crying at the Tour of Lombardy in 2006 in the World Champion Jersey, emotional over the death of his brother in an automobile accident the week before. Belbin finds a quote from an Italian journalist covering the first World Championship in 1926 won by the Italian Alfredo Binda that emphasizes the link of tears with cycling--"You can view it as an exaggeration to cry for a cycling race, but all of us Italians present at that time felt a lump in our throats and a tear in our eye." Belbin only cites four other instances of tears though. The first was by Simpson and then three by women--Mary Jones in 1982 and Jeannie Longo in 1985 after their wins and then Nicole Cooke in 2005 for finishing second. The first woman’s World Championships were held in 1958. Belbin gives the women much more attention than the other books. In lengthy interviews with Marianne Vos and Catherine Marsal he delves into the suffering of the sport. Vos told him, "You have to suffer and you have to go through a lot of pain. Marsal explained, "You unplug your brain from that feeling of pain and the you can go to another zone." The men he interviews also bring up the suffering one must endure. Gimondi said, "I suffered because it was so tough." Stablinski said that however hard the sport was, it wasn't as hard as working in the mines. Belbin considered suffering such an intrinsic aspect of the sport he lapsed into overusing the word in relation to punctures. It should solely be reserved for those propelling the bikes, not for inanimate objects. Healy was more interested in the doping that made the suffering more tolerable. He quoted Simpson, "Tell me where you draw the line between dope and tonics. Even the experts don’t agree on that one." Healy also brought up payments between riders to let one win a race. All three authors range wide in their commentaries to broaden one’s understanding of the sport. They all have a love of the sport, and used a book on the World Championships to share it. There can not be too many such books.